Over the course of my 30-plus year career as a therapist, numerous world events have entered my office: 9/11, the Catholic priest scandal, the Boston Marathon bombing, the 2016 presidential election, and the Black Lives Matter and Me Too movements, to name a few. But none of these events prepared me for Catherine’s murder. To my shock, on Sunday morning, I opened The Boston Globe Metro section to a large photo of Catherine—my client of 15 years—smiling at the camera. The shooter had targeted her and her several colleagues. She’d moved out west about four years ago, roughly a year after I’d last heard from her. As the reality of Catherine’s death gripped me, I realized how unprepared I was for this situation. I had limited experience with clients dying, let alone being murdered. I’ve never had a client die while in treatment. There was no one connecting me and Catherine. I felt alone and powerless. Catherine was in her late twenties when I met her. She was striking in her presence and poise. Unhappy with her career and concerned about a romantic relationship, she came to see me. Over the next 15 years, she worked diligently to make changes in her life. She went to graduate school, got married, divorced, and continually strove for self-improvement. Although she sometimes regressed to old patterns of self-destructive behavior, she never gave up. Ultimately, she became a social worker in the VA system as well as a yoga instructor, and brought her expertise to her work with women veterans. In therapy, Catherine’s warmth and humor filled the room. I have a file full of notes and cards from her over the years. If she mailed a check, it always had a sticky note attached with a word of thanks and her special way of signing her name---turning the C into a smiley face. Every Christmas, there was a card from her expressing thanks for the work we had done together. Even after she moved, I continued to get cards, emails, and the occasional in-person session when she was home visiting family. She reached out when times were hard and when times were good. Now, I was overcome with grief and rage. I started to read all I could find on the internet about her murder. The most haunting part for me was wondering if she’d suffered. The gunman was a former client at the facility where she’d worked. I wondered what transpired in the hours between when he entered the building and when the police found him and the victims dead. Had she been killed first or last? Was it a quick or slow death? How frightened was she? Was she hurt in any other way before being shot? When I returned to work on Monday, I realized I needed to find a way to process this new reality. I had no idea what I was allowed to do, legally or ethically, to get help for myself or to honor Catherine. As the day went by, I was struck with an odd sensation as each client walked in. How would I feel if this person died? The notion that I might never see them again filled me with dread. After doing some research, I learned that I was allowed to acknowledge Catherine had been my client, but not to discuss her case details. A colleague who specializes in palliative care talked with me about his decisions regarding attending funerals and reaching out to families. Keeping information confidential is the backbone of our work and ethical code, but I was deeply grieving. My sleep was disturbed by awful dreams and I struggled to mask that something tragic had happened. That night, Emily and I spoke for over an hour. She’d recently started therapy to cope with Catherine’s death. In therapy, she’d identified me as someone Catherine knew deeply. Her therapist helped her locate me through an online database since she didn’t know my last name. Finally I was talking with someone who knew Catherine. Emily had been in touch with the police and was able to provide some details about Catherine’s final hours. I supported her decision to start therapy. She told me about the funeral and the fund being created in Catherine’s name. She offered to send me one of the hats she’d designed and worn in Catherine’s honor at the March for Our Lives. Although there was much unsaid, there was an acute awareness that we both knew Catherine in ways few other people had. This experience has changed me. I still struggle with grief. I’ve grieved other deaths in my life, this one feels different. Catherine’s death has prompted me to actively address issues of gun violence. It’s also motivated me to get my professional life in order. I recently created a professional will and identified a colleague who will handle my practice if something catastrophic happens to me. Being prepared doesn’t alter the likelihood of something happening, but it does help me to know that I’m trying to limit the pain of loss for others. Not knowing the end of the story is a fact of life for therapists. Clients leave and we hope for the best. Perhaps we get the occasional update about a wedding or a baby or a new career. I wish I’d been there to help Catherine, and that I could have changed the ending. Maggie Mulqueen, PhD, is a psychologist in private practice in Brookline, MA. She is the author of On Our Own Terms: Redefining Competence and Femininity (SUNY Press, 1992). Such a timely piece. Thank you for sharing these beautiful thoughts at this difficult time. This tragic experience sends ripples through many lives, and here we get a glimpse into how it affects a mental health provider directly connected to the victim. The flip from triumph to tragedy is extremely moving. I appreciate how the author has struggled to come to terms with her own loss, including finding constructive ways of taking action for herself and others. I cried reading this--for the author's loss, for her client's death, for the state of our society... and in gratitude for the author's bravery as she seeks to cope with her grief and honor her client via concrete, positive action in her memory. Although the essay concerns the writer's grief, the simple, direct writing style puts the woman she is grieving front and center. Beautifully done. This is elegantly written. It illustrates the essential vulnerability we accept into ourselves when we make a connection to another human being; when we come to know someone, whether professionally or socially, we share a small portion of that person's successes, failures, and fate. This is a fascinating--and--tragic glimpse into the relationship between a mental health provider and a client. Thank you to Dr. Mulqueen for sharing such a personal story. When we grieve, our natural tendency is to reach out to others to mourn a life lost. The author’s role as a psychotherapist initially prevented her from receiving this basic solace. Her situation was compounded by the fact that her former-client was murdered in a case that made national headlines. I am glad the author has found ways to process her grief—including sharing this all-too relevant story with us at this time. This is such an important piece that brings to light the experience of therapist loss in a poignant and powerful way. As therapists, we don't receive training on how to manage such experiences; this story shows how lasting and rich a therapeutic relationship can be, and how tragic it can be to lose a connection like the author had with Catherine. We never have been nor will ever be blank slates. For those of us who care deeply about our clients this is a treasure. The depth of your work with Catherine must have made your sorrow all that much more grievous. It is a reminder to all of us to forge meaningful relationships especially because life can be so fragile. 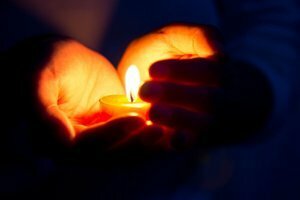 I too have been dealing with the sudden loss of a client who passed away. I have been so surprised at how much it’s affeced me. Your story helped me today feeling as if I’m not alone. I just need to give myself time & space to heal. What a beautifully written piece illustrating the professional bond that is created by a compassionate therapist and her client. The awareness of and depth of Dr. Mulqueen’s grief, along with her call to action as a result of this senseless death provides each of us with a model for processing grief, whether personal or professional. Thank you for sharing this deeply personal story.